These black anti-slip stair treads are a great solution when you need an attractive, affordable slip-resistant surface. This modern design is complete with a reflective grit strip inlaid in the tread to further ensure safe footing. This type of indoor stair tread makes for a long-lasting safety solution when you need a durable, easy-to-clean non-slipping surface. 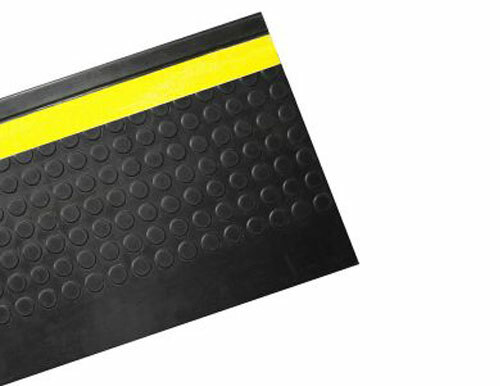 Our rubber and vinyl stair treads are great for reducing noise from foot traffic, as well as offering a safe anti-slip flooring solution. These stair coverings are great for industrial or commercial use and are commonly used in office buildings, hospitals, restaurants, medical buildings, and schools without compromising aesthetics.